At first glance, a new proposed rule published in the Federal Register on September 28, 2017 sounds like great news for businesses that have been denied verification as veteran-owned small businesses (“VOSBs”). 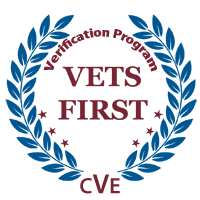 “Verification” is the term for approval as a VOSB or SD (“Service-Disabled”) VOSB in the VA’s VetBiz registry, where a firm must be listed to pursue a VOSB or SDVOSB set-aside opportunity listed by the VA.
Let’s break down this requirement. First of all, it relates to a cancellation or a denial. Cancellations are simple – that’s when you get booted from the program because you no longer meet the eligibility requirements. A “denial,” however, is an ambiguous term. The VA currently boasts of a near-100% verification rate, because it does not count any business that withdraws in its denial rate. (Businesses receive a letter if they are found ineligible, which states that they may either receive a denial, or withdraw their application and reapply when they are ready). Because the proposed regulation at 13 C.F.R. 134.1103 provides specifically that only “denials” can be appealed, this means that a business has to accept the denial and then fight it at the appeal level. And if they lose, a six-month wait period applies to reapply. Because the VA is accepting comments, the comment to make here is that appeals should not be limited to businesses that choose to accept denials, but to any business that receives a pre-decision or pre-determination letter finding it is ineligible for the VetBiz program. Also, the appeals process doesn’t address the bigger problems with the VetBiz process. For example, if a business cannot begin the process because a 1% shareholder refuses to sign a form (To start the process, all business owners must sign a form called the 0877; and if someone refuses to do so, the veteran owner is out of luck. This is ironic considering that the VA is so fixed on ensuring the veteran owner controls his company, yet requires a form that enables a non-veteran owner to call the shots by refusing to sign and preventing the company from even starting the process). Also, some businesses have to withdraw because the VA won’t budge on the provision of a “required” document, despite the availability of other documents containing the same information. Those folks caught in limbo can’t appeal. Also, by giving standing only to those who have been flat-out denied, the six-month wait period if one loses the appeal deters businesses from accepting the denial and fighting it at the higher level. They’re more inclined to withdraw and then get back on the CVE-level merry-go-round. Further, because the standard to win is showing “a clear error of fact of law” (a high bar), this automatically presents an uphill challenge given that the regulations for assessing verification eligibility are written so generally. In fact, the VA has been attempting to rewrite these regulations for years. Due to the adverse nature of comments to the rule, the VA recently withdrew the rule. If you are a veteran-owned business and have an interest in the establishment of an appellate process for denials for VetBiz applications, please comment on this new rule. (Comments close on October 30). Keep in mind that this blog only highlights a few aspects of the rule – you may find another element you want to offer insight on based on a personal experience with verification. And, you owe it to yourself and to other veterans to speak up. Instructions for commenting and the complete proposed rule may be accessed here. Did you find this article informative? If so, sign up for Sarah Schauerte’s legal blog at: http://www.legalmeetspractical.com.